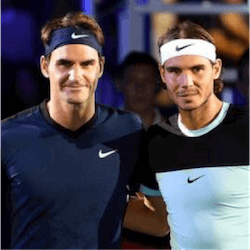 In the world of tennis, one would expect a showdown between Rafael Nadal and Roger Federer to be the main highlight of an event; a final for that matter or at the very least a semi-final. 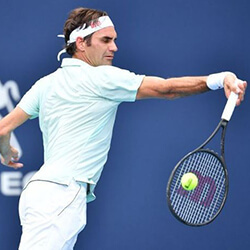 Following successive wins for both players in the third round of the BNP Paribas Open, the two tennis legends have unwittingly set up showdown at the Indian Wells in just the fourth round. The pair have met a total of 35 times on the court, the most recent being the Australian Open final in January. This time it was Federer who blasted his way past Nadal to claim his first Australian Open title in seven years with an epic five set win over the Spaniard. The two modern day tennis legends have played just about everywhere in the world in front of thousands of fans. This time, their meet up will be unlike any other in modern tennis history. One of the reason’s these two are considered are legends on the court is because they have only ever met outside of a final once before. This was in their very first meeting back in 2004. At the time, no one knew what rivalry would develop from that fateful day. This time around, things are a little different. A fourth-round matchup is an unlikely place to find a Nadal/Federer battle. So what happened? Federer’s drop in rankings courtesy of his knee injury puts him at a much lower 10th on the list. 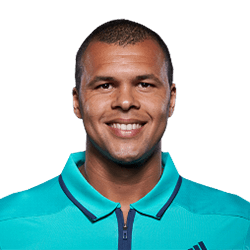 Likewise, Nadal’s erratic form has dropped him to 6th on the ladder, which led to their matchup in a fourth-round match on a weekday at the Indian Wells. Speaking to the press, Nadal admitted that the draw for the Paribas Open was a massive let down for him. So what did we get out the big match? A repeat of the Australian Open final it seems; just a little more subdued with the same outcome. Once again, Federer got the better of the Spaniard easily powering past him in straight sets. 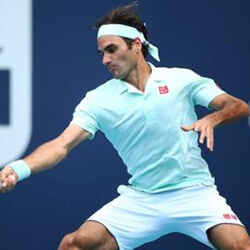 While not quite the spectacle the crowd wanted, the match did have a few highs and lows but ultimately the 6-2, 6-3 match was an easy win for Federer. 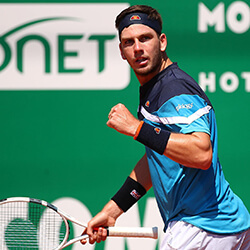 The Swede will now face off against Nick Kyrgios whose shocking defeat of Novak Djokovic will set up a much more exciting quarterfinal match.